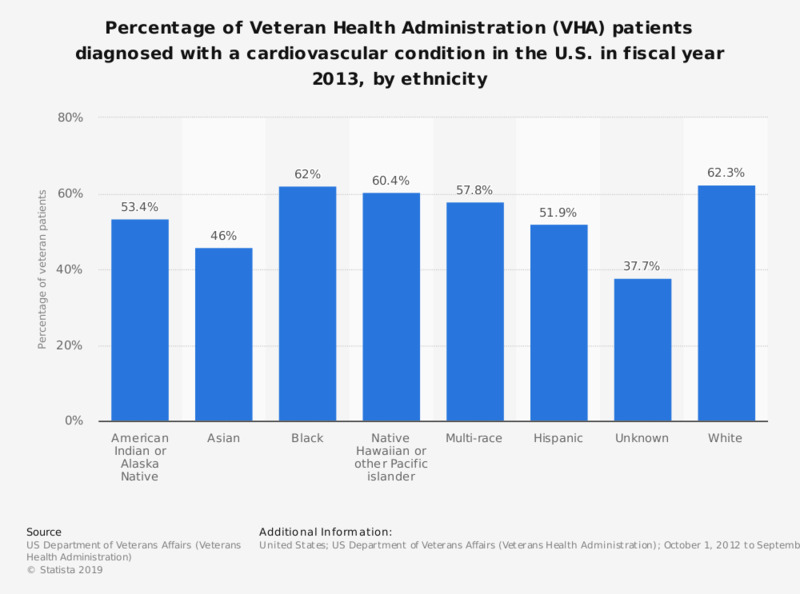 This statistic shows the percentage of Health Administration (VHA) patients diagnosed with a cardiovascular condition in the U.S. in the fiscal year 2013, by ethnicity. In that year, around 52 percent of Hispanic veteran VA health care users were diagnosed with a cardiovascular condition. The fiscal year for 2013 ran from October 1, 2012 through September 30, 2013.